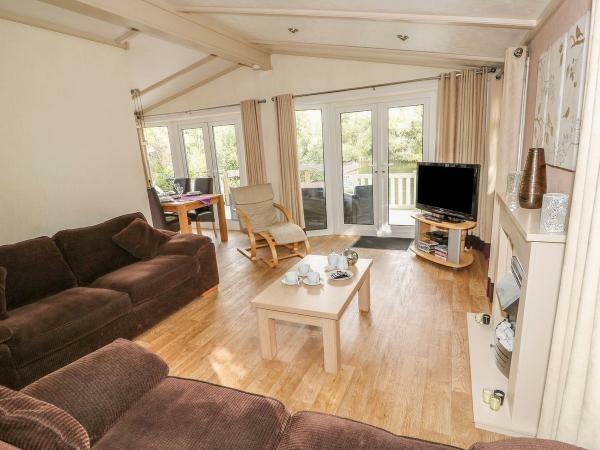 An amazing lodge with all the extra touches to ensure you have a great stay at Tattershall Lakes Country Park. The distinctive lounge with high ceilings, spot lights gives the lodge the WOW factor as soon as you walk through the door. Two comfy free standing settees in a brown plus a lovely high back chair. A 42" TV, separate DVD player (please feel free to bring your own DVD'S). 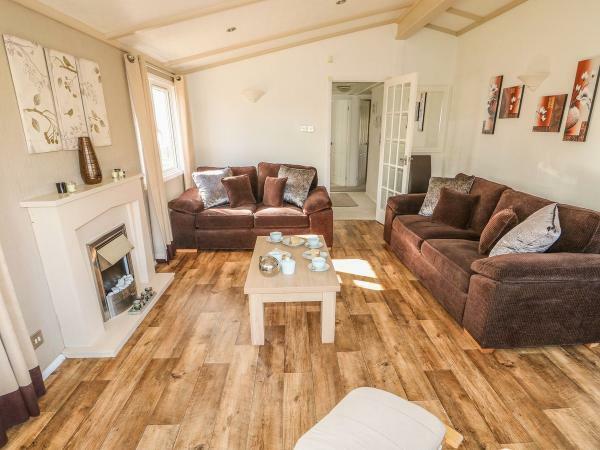 Lovely décor with an attractive log effect electric fire and two patio doors that open onto an enclosed veranda with patio furniture, perfect for watching the sun set over the beautiful lake which is right outside your lodge, lovely landscaped gardens, just sit back and enjoy the wildlife has they come for a visit. 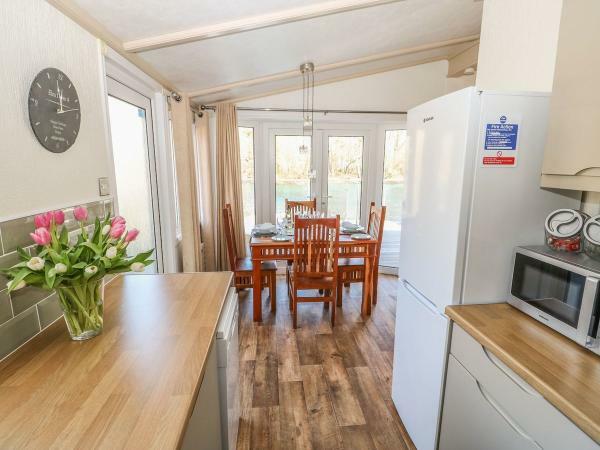 The dining table is freestanding that seats 4 and has a great vantage point to see what’s going on around the lodge, watch the TV or aimlessly gaze out of the huge patio doors. Everything for the kitchen you would ever need is provided pots, pans, cutlery, glasses etc. We have also included complimentary tea, coffee, sugar and a little milk, kitchen roll and fairy liquid . 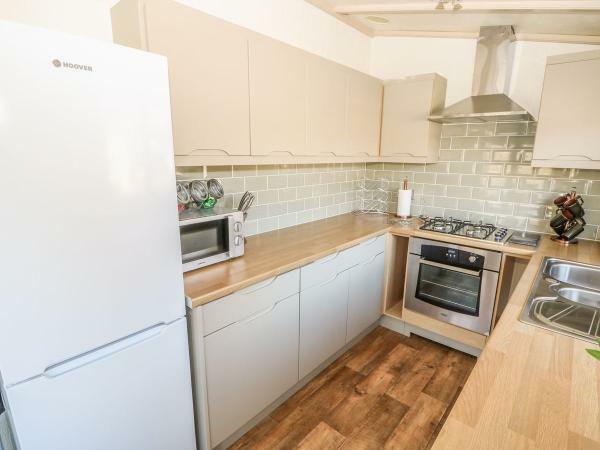 There is a dishwasher, microwave, fridge/freezer, grill and oven with 4 ring hob and extractor fan, wrap around worktops so that even the novice chef can make that culinary masterpiece for lunch. 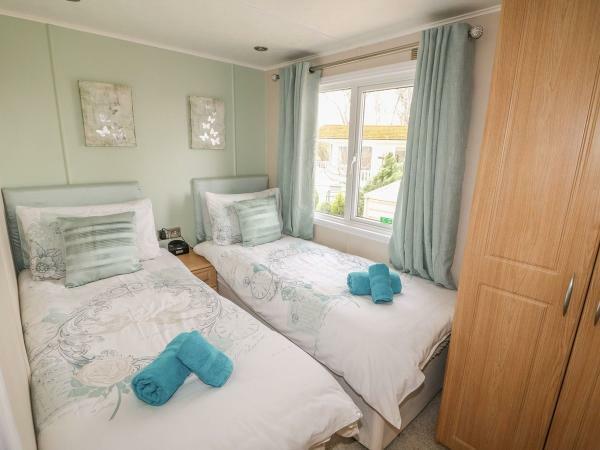 The master bedroom suite is very spacious, with a king sizele bed two bedside cabinets and lamps above, power sockets, central heating radiator, en-suite with bath (YES BATH), vanity sink, WC and radiator. 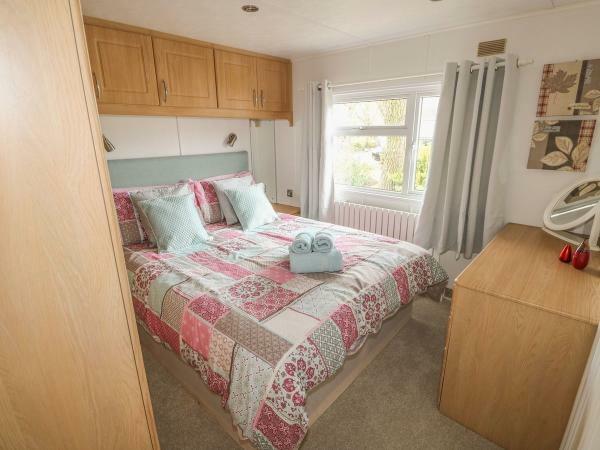 Bedroom 2 has two 3ft single beds with double cupboard space with 3 drawers, bedside cabinet with lamp, power sockets. Dressing table and mirror for doing hair and makeup plus a central heated radiator. 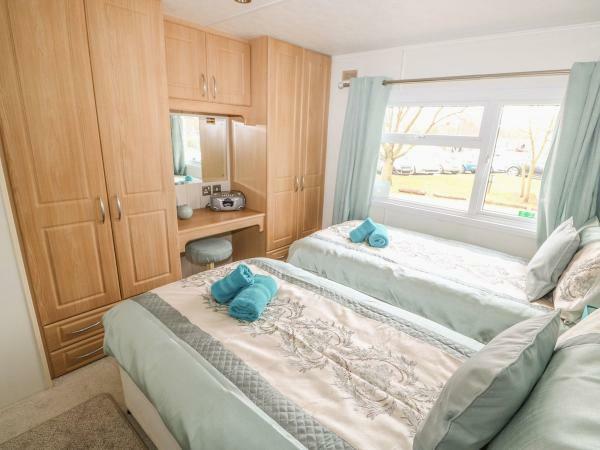 Bedroom 3 has two single beds with double cupboard, bedside cabinet with lamp, power sockets. Mirror and a central heated radiator. 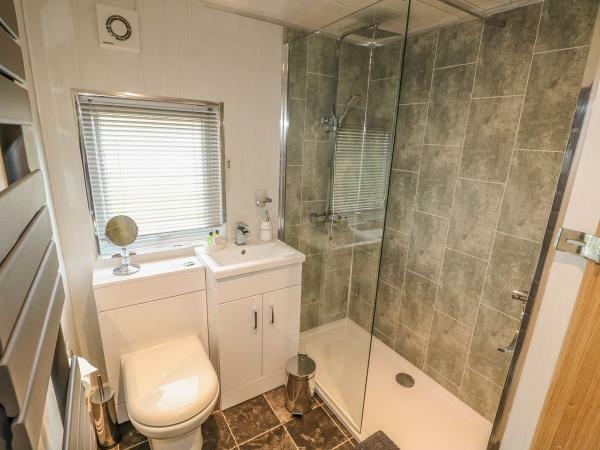 The main bathroom has a power shower, LED vanity spotlights and sink and WC, central heated radiator and large mirror. 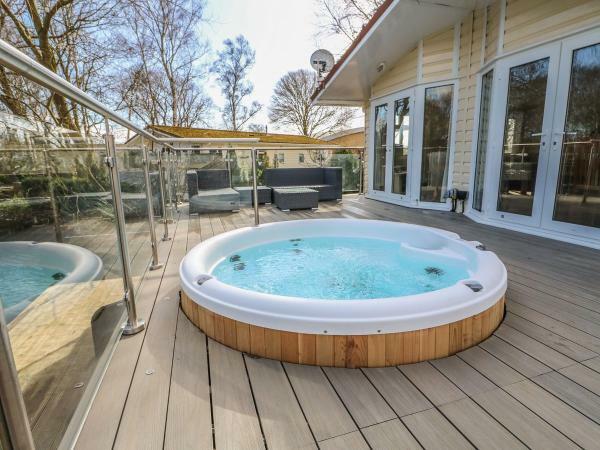 Also included in the cost of your caravan for you to use is a luxurious hot tub with wrap around veranda, please ensure that the hot tub cover is put on after use. Also, ensure that you read the guidelines for using the hot tub as these are there for your safety and others. Please be aware that we do not include entertainment passes . These can be purchased from the main away resorts reception. 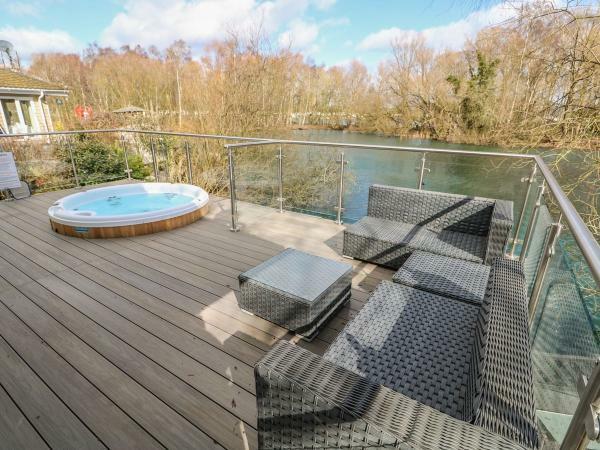 If your looking for a fantastic break in a lovely modern lodge then this is for you. 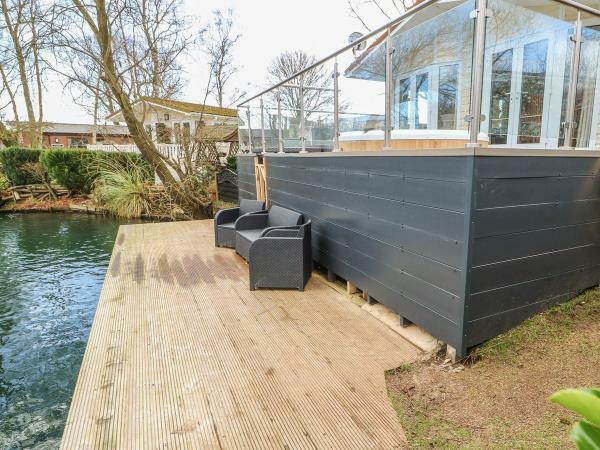 Enjoy your stay with all the extra's that Tattershall Lakes as to offer and I'll speak to you again I guarantee you will be back for more it's addictive. 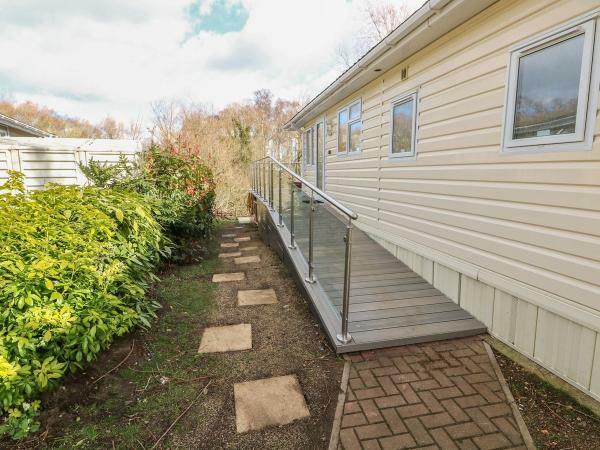 We also have other lodges and caravans available at Tattershall Lakes plus caravans at Butlins Skegness and Ingoldmells including a disabled caravan.